Eric Tan was born and raised in China. 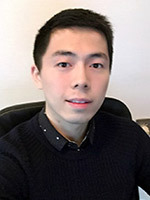 He has two years of professional experience in the mobile internet industry with Blue Focus, which, together with his excellent manners and cool patience, makes him an undeniable asset to our Chinese Representative Office as a Customer Service Associate. He puts his manners (and maybe some of his patience) to good use at SPC, assisting customers online and over the phone, processing orders, translating and assembling our Chinese newsletter, and learning more about pipes and pipe tobacco by the day. Eric keeps an open mind to everything; experiencing new things is a great part of his life. In his time off, he loves watching movies and playing extreme sports with friends.